Do You Have the Chops to Solve the World’s Largest Maze? There are puzzles, and there are puzzles. Then there is Joe Wos’s puzzle that will puzzle even the most experienced and skilled of puzzle solvers in the world. 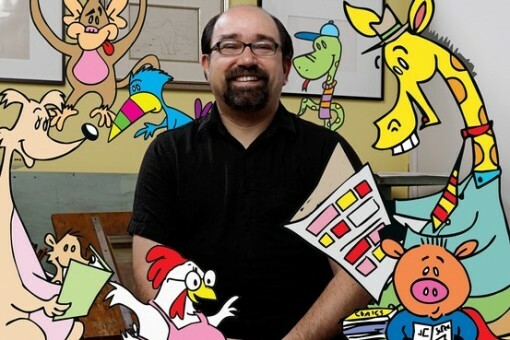 Mr. Wos is the director of ToonSeum, a cartoon museum in Portland. Not only does he manage the place, he also founded it himself. 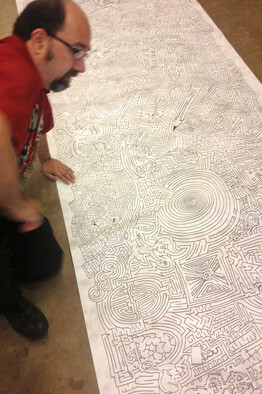 He has been doodling since he was a kid, and he has made a fairly solid reputation as a maze maker. In fact, some of his colleagues have solved his mazes in the past. His latest – and largest – creation is proving to be a challenge from the get go, however. There are no takers as of yet. Even those who have tried Wos’s mazes in the past. Seeing that the world’s largest maze is 35 feet long and 4 feet wide, it is not surprising at all. Obviously, that’s only a snippet of the world’s largest maze. Impressive physical dimensions aside, the world’s largest maze has a lot of viewing pleasure to offer, even if you have no aspirations to solve the puzzle. Apparently, the creator used a black Sharpie to draw the intricate details – instead of a pencil and eraser. That says a lot about his skill, doesn’t it? Or maybe it’s confidence! In any case, Wos says he does make mistakes along the way, and when that happens, he simply makes an artistic detail out of it. The world’s largest maze then is not only all about finding your way through it, but it’s also about soaking in the work of art that is buried in the depths of the maze. Now back to Wos’s issue: who can solve the world’s largest maze? Even simpler, who is willing to give it a shot? Read more about the world’s largest maze here.